Freedom To Save: Free Natural Balance Delectable Delights Dog or Cat Stew Coupon! 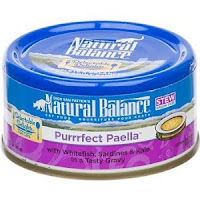 Free Natural Balance Delectable Delights Dog or Cat Stew Coupon! Get Free Natural Balance Delectable Delights Dog or Cat Stew from Petco! Just visit the website and print the coupon to redeem at a participating Petco location you must be a member of Petco Pals to redeem this coupon. If you are not a member, you can register here! This coupon is valid thru 11/30/2012.